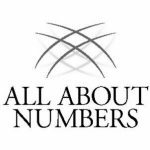 All About Numbers, LLC is a full service tax, accounting, business consulting, and investment firm located in Connecticut. It provides financial services which include tax preparation, payroll, investment, bookkeeping and CFO services, as well as QuickBooks solutions. Work For All About Numbers, LLC? Claim This Page.